One of the most redemptive aspects of our work is the opportunity to watch an individual child transition from slavery to freedom. We don’t use those terms casually; with your help, we’ve literally given new life to well over 130 children. We’re proud of the big number because it shows our process is working. But we’re equally thrilled with the journey each child has been on and his/her accomplishments and milestones along the way. We celebrate every single story. 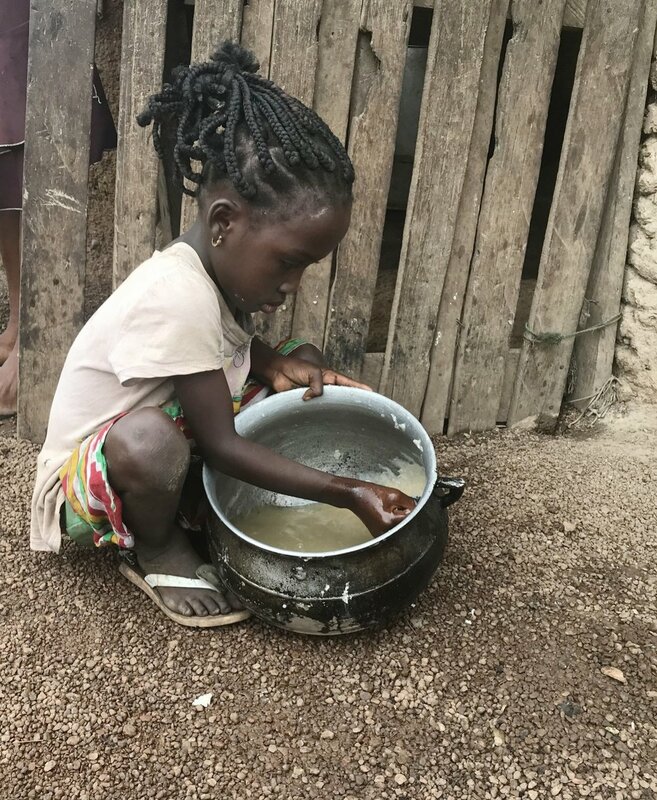 Below are a few stories representative of typical family situations in Ghana to show more tangibly why we do what we do and what freedom truly means in the life of a particular child. Kekeli was the youngest girl in the Logakorpe rescue group at 6 years; she began working at the age of 4. Kekeli’s father lost his job a few years back and left the home to seek work elsewhere. He called often and sent financial support for a time, but it did not last. Kekeli’s mother did her best to provide but eventually found it too difficult to care for both herself and her young children. Having no better option, she sent Kekeli to work to at least ensure her essential needs were being met. Kekeli’s tasks in her village included cleaning fish and small household chores like sweeping and helping with meal preparation and clean-up. Now, post-rescue, her “tasks” include play, giggling, making friends, and starting school. She may not realize it fully, but freedom for Kekeli looks like a bright, wide-open future of possibility. We can’t wait to see what amazing things she accomplishes in her life. Jacob was the oldest in our rescue group from Logakorpe where he’d been working for 5 years. He comes from a large, loving family and is the oldest of 8 siblings. When his father passed away several years ago, his mother struggled financially to care for her children, and the responsibility fell to Jacob (at the age of 12) to help provide for his family. Jacob’s mother was devastated to not be able to care for him and send him to school. But with 7 other children and facing unemployment, she felt she was left with no alternative. Jacob was passed around for work and, under the guise of aiding his mother, trafficked in exchange for a small amount of money. Situations like Jacob’s are the ones we encounter most often – families who love their children and long to provide for them but who are faced with impossible choices when no financial safety net nor aid exists. This is where Mercy Project is able to step in; with your support, we are able to pull children, families, and entire villages up out of poverty and back onto a solid foundation of provision and sustainability. Thankfully, Jacob’s story didn’t end on the lake; he left Logakorpe with our staff and is doing well post-rescue. Jacob has had a hard life already, and he’s got a long road ahead of him – but we know it will now be one of freedom and choice, and we trust that he will find success. Senyo’s master expressed a willingness for him to be rescued in order to receive a better future and life away from the lake, and we applaud his courage and kindness in that decision. True to his joyful character, Senyo gladly walked out of the village with our Mercy Project staff wearing his “Be Happy” sweatshirt. 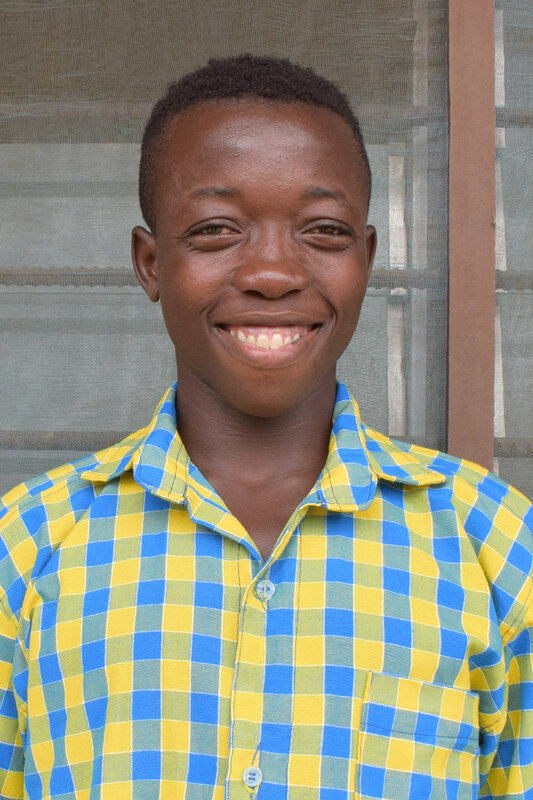 Though the rest of Senyo’s story is yet to be written, we trust that his future will indeed be a happy one. He’s quick to offer a grin, and he has so much anticipation for what’s ahead – reuniting with his family, going to school for the first time, and dreaming to be a world class soccer player.